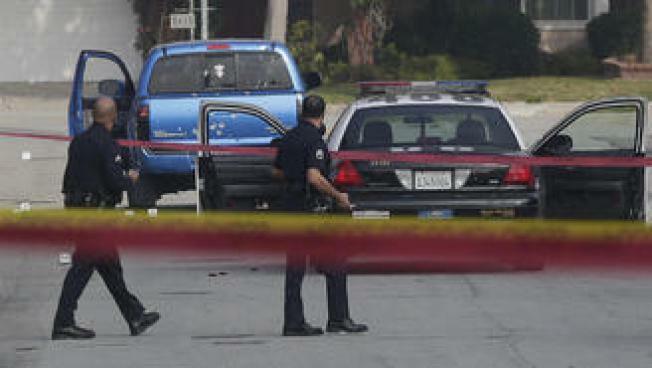 Dozens of bullet holes riddle a blue pickup truck in Torrance on Feb. 7, 2013. Two newspaper delivery women were traveling in the car when police officers mistook them for an ex-officer wanted in a deadly rampage. Eight Los Angeles police officers found to have violated the department’s policy of using deadly force when they opened fire on a mother and daughter delivering newspapers during the manhunt for a rogue ex-officer will not be fired. The officers will receive additional training and allowed back into the field, the Associated Press reported. "I have confidence in their abilities as LAPD officers to continue to do their jobs in the same capacity they had been assigned," Beck said in a department message to officers obtained Wednesday night by The Associated Press. "In the end, we as an organization can learn from this incident and from the individuals involved." Officers involved in the shooting of newspaper delivery women were angry and afraid as they opened fire on the women during a manhunt for rogue ex-officer Christopher Dorner. 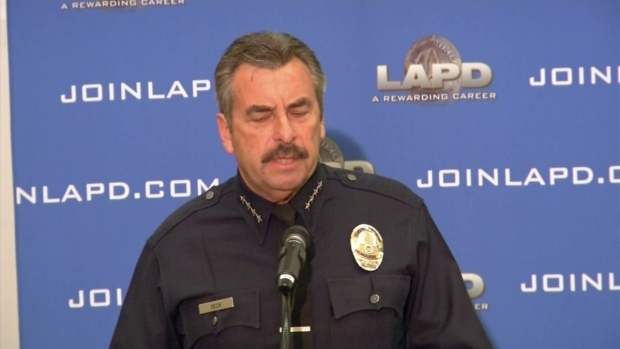 LAPD Chief Charlie Beck said the officers behaved out of policy. 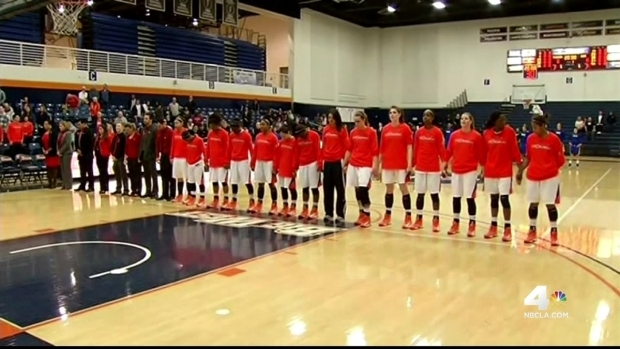 Beverly White reports for the NBC4 News at 11 p.m. Tuesday, Feb. 4, 2014. Other discipline not outlined in the chief's message could be handed down, but department policy prevents police from discussing it, the AP reported. The chief and the independent police commission found the February 2013 shooting that injured the two women, who won a $4 million settlement from the city, violated department policy. Attorney Glen Jonas, who represented the two women, told the Associated Press he was concerned by the chief's decision not to terminate any of the eight officers. The reviews of actions by the LAPD during the Christopher Dorner manhunt are released, including the shooting of two delivery women. The chief says the officers who opened fire violated department policy. Patrick Healy reports from downtown Los Angeles for the NBC4 News at 5 p.m. on Tuesday Feb. 4, 2014. "If either of the women had been killed, you can bet your bottom dollar somebody would be fired and maybe prosecuted," Jonas said. "A stroke of luck, firing more than 100 rounds and missing, should not mean the discipline is lighter." 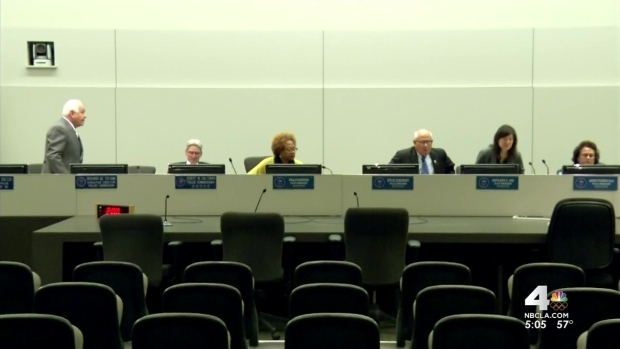 The civilian Police Commission that found the officers violated policy also faulted the department itself, saying the officers were rotated in during the night to protect the home because of overtime concerns. The sergeant wasn't trained to oversee such a protection detail and there was no operational plan. The commission also cites the officers' inadequate firepower. NBC4 learns about the clues that cracked one of Southern California's biggest manhunts for killer ex-cop Christopher Dorner. The detective who helped piece together evidence left behind by a man on the run speaks for the first time in an exclusive interview. Vikki Vargas reports for the NBC4 News at 11 p.m. Wednesday, Feb. 5, 2014. "The ability to address this threat was hindered to some degree due to the experience, training and logistical deployment of the personnel assigned," the board's report said. "On a larger scale, the planning conducted at the Bureau could have been more effective, ensuring proper deployment, both personnel and logistics, at the protected location." The shooting occurred during the search for a former LAPD officer who outlined a revenge plot against law enforcement officers and their families. Christopher Dorner killed the daughter of a former LAPD police official, along with her fiance, and two law enforcement officers over 10 days before being cornered and killing himself in a burning mountain cabin in San Bernardino County. The mistaken identity shooting occurred Feb. 7, 2013, as officers protected a Dorner target's Torrance home. When one of the newspaper delivery women threw a paper onto the pavement in the early morning hours, an officer who believed the sound was a gunshot opened fire. Officers, unable to see clearly into the vehicle, riddled the pickup truck with 103 rounds and hit seven nearby homes and nine other vehicles with gunshots and shotgun pellets. Margie Carranza, then 47, suffered minor injuries, and her then-71-year-old mother, Emma Hernandez, was shot in the back.